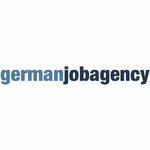 Asistent medical Germania, German Job Agency Firma Russo - Aplica pe eJobs! We are looking for 50 qualified nurses who are willing to work in nursing homes, home-care, and in hospitals for Germany. Our partners/collaborators are a non for profit organization and our clients are part of the German Public and private Health Care System. As a nurse in Germany, you will have the opportunity to grow professionally within the German Health Care system. Willing to live in Germany for more than 2 years. A work contract for a minimum of 24 months; and the possibility for a fixed contract. As a selected candidate the employer will finance entire project, provide all German language courses up to B1 level, all assistance necessary in integrating into German culture including Tutoring services for entire project, and continuous training to all nurses aiming to provide clinical autonomy, professional development and career opportunities in a supportive and high-quality working environment.